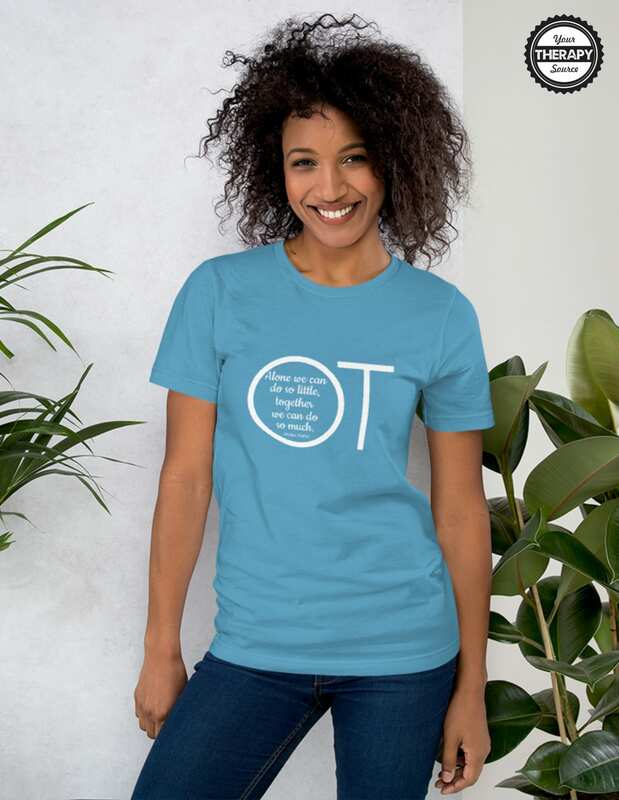 This OT Quote T-shirt states “Alone we can do so little, together we can do so much – Helen Keller”. 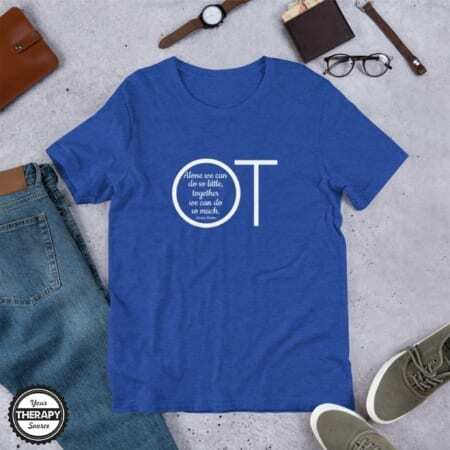 Any occupational therapist would love this classic looking t-shirt to show off their profession! 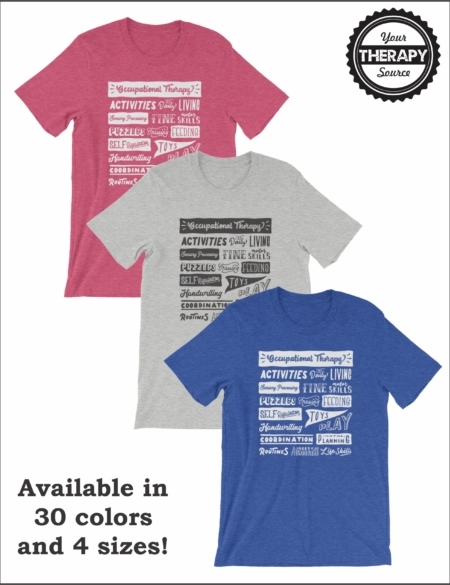 Click on the color AND size you want from the drop-down menu above to see the t-shirt in that color. 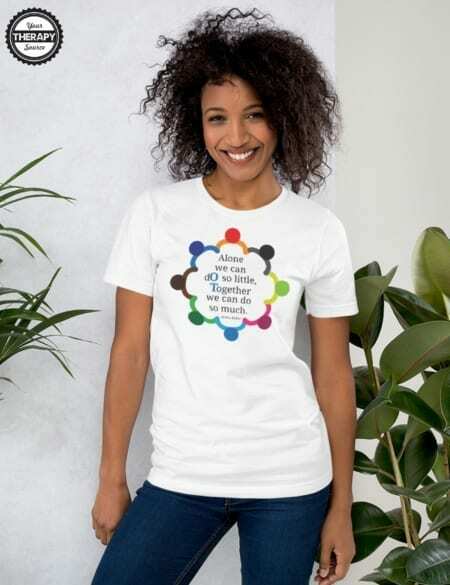 The Bella+Canvas 3001 t-shirt feels soft, and light, with just the right amount of stretch. It’s comfortable and the unisex cut is flattering for both men and women. RETURN POLICY – No returns or exchanges. Sorry. The t-shirts are printed on demand. 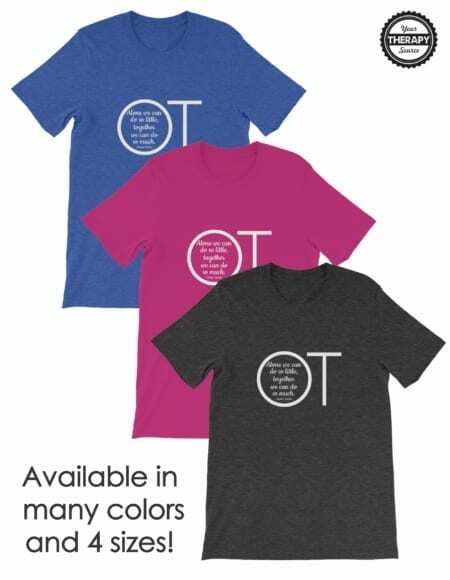 Want to see more OT t-shirt designs? 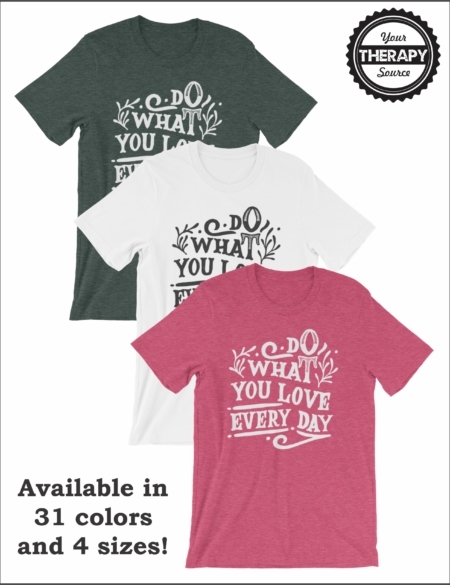 Check out the Do What You Love Every Day OT t-shirt. 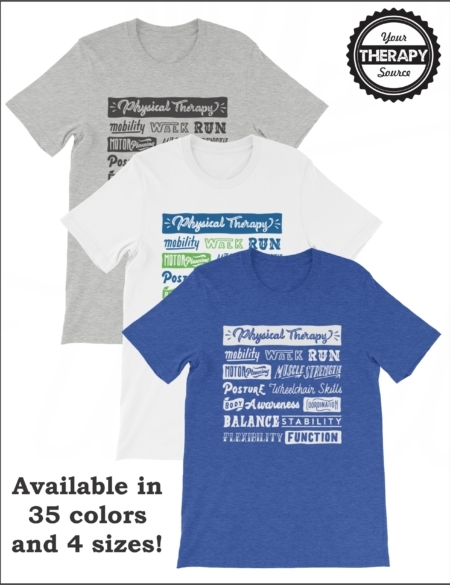 Need a PT t-shirt? Check here.